We assemble around 9.45pm on Fridays, after a cup of tea and a prayer we patrol the area in groups of four. Meanwhile a team of prayer pastors remain at the base to support us. Generally the street team returns to base about 12.30am for further refreshment and to warm up before going out on a second patrol. We expect to finish about 4am. While out on patrol we greet people we pass – it is up to them if they want to engage us in conversation. We make ourselves know to the shopkeepers, pub managers, fast food outlets and club managers who are friendly and supportive. Occasionally we need to call the police or ambulance service. We also make a point of removing empty glass bottles to prevent their being made into weapons. We go out in groups of four and feel quite safe on the street. 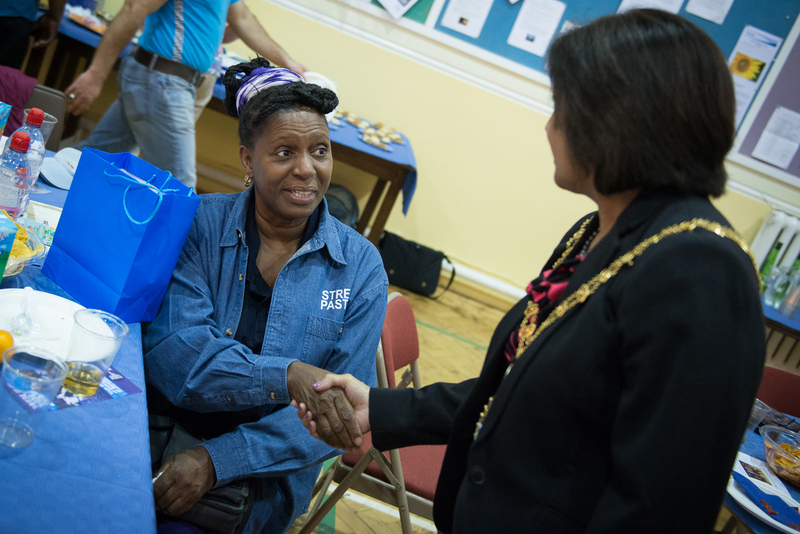 We value those who support us with prayer and practical guidance from our local partners. We always inform the police prior to and after our patrol. In Ealing Broadway we are in contact with cctv as well. 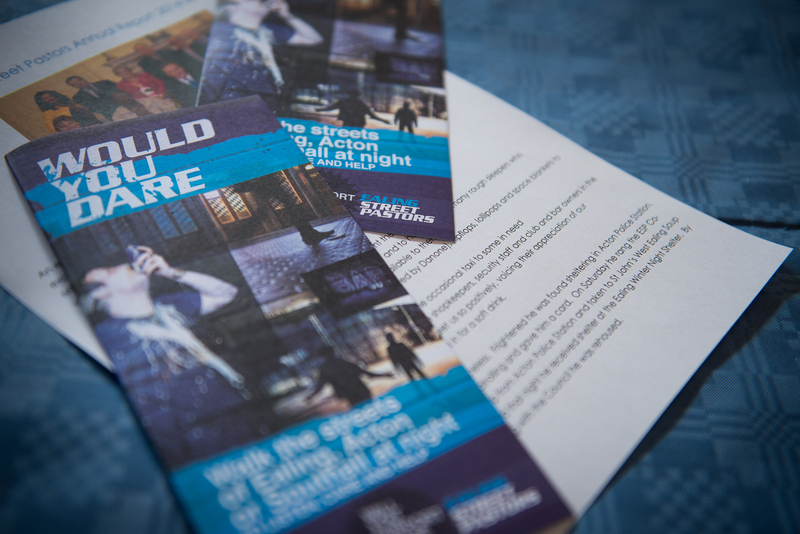 All Street Pastors are fully trained and we never look to put ourselves at personal risk. Our proud new recruits receiving their certificates. 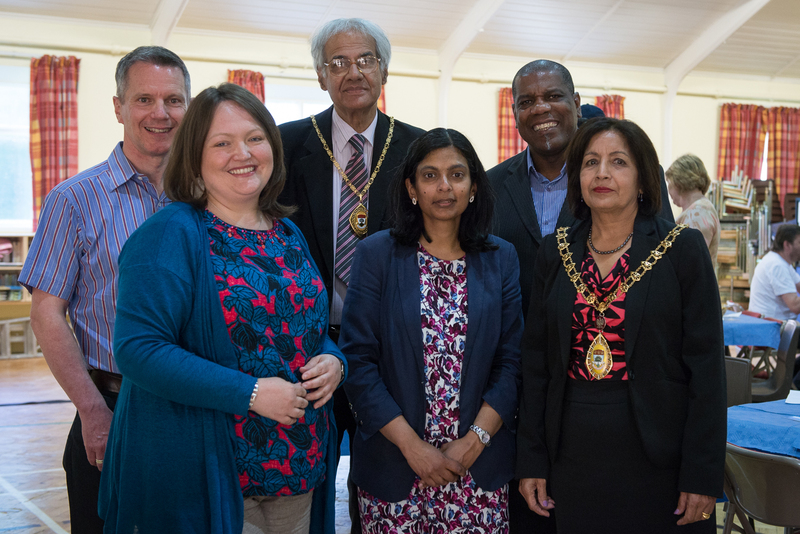 Ealing Street Pastors were joined by Ealing’s new Mayor Councillor Harbhajan Kaur Dheer, Rupa Huq MP, Stephen Pound MP and Superintendent Colin Wingrove to celebrate the commissioning of new Street Pastors. 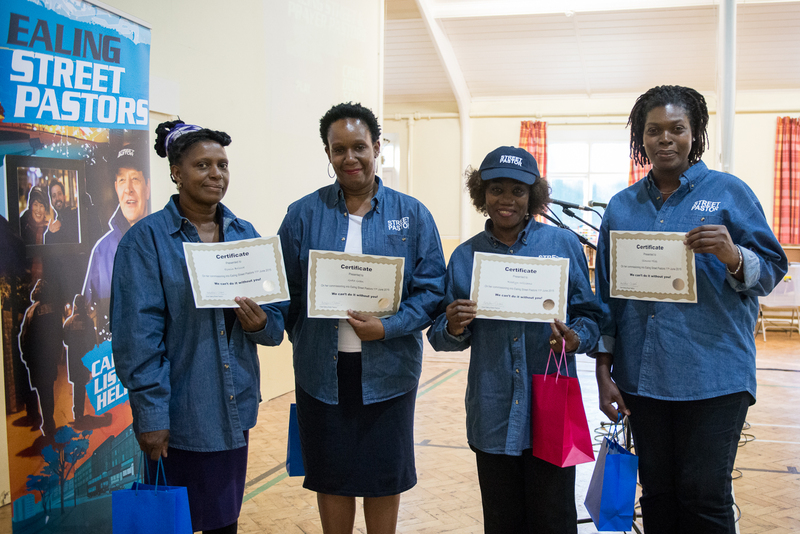 Esmin, Roselyn, Greta and Simone were there to receive their certificates from Ascension Trust’s Operations Director Eustace Constance. There was fantastic live music provided by two Acts 29 Battle of the Bands’ finalists, Zoe and Connor. 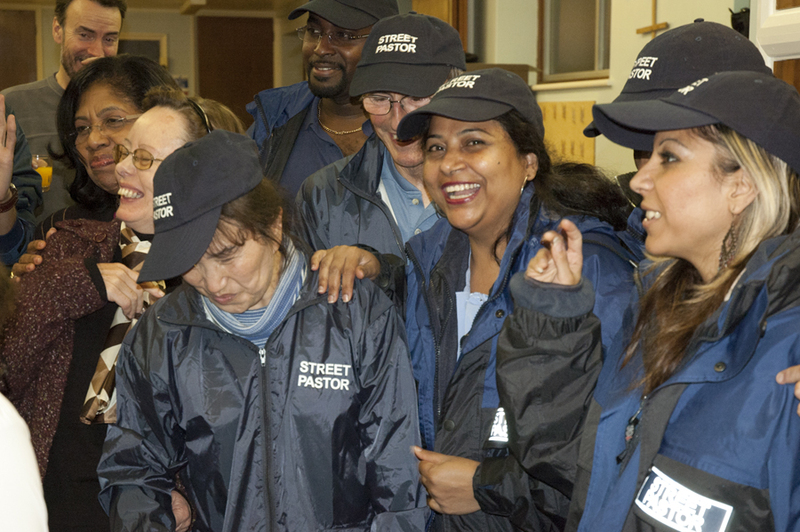 As well as commissioning our new street pastors we were able to say thank you to all those, local government, businesses, churches and police, who have supported us meaning that Ealing Street Pastors can patrol the streets of Acton, Ealing and Southall caring, listening and helping all those we meet. Rev. 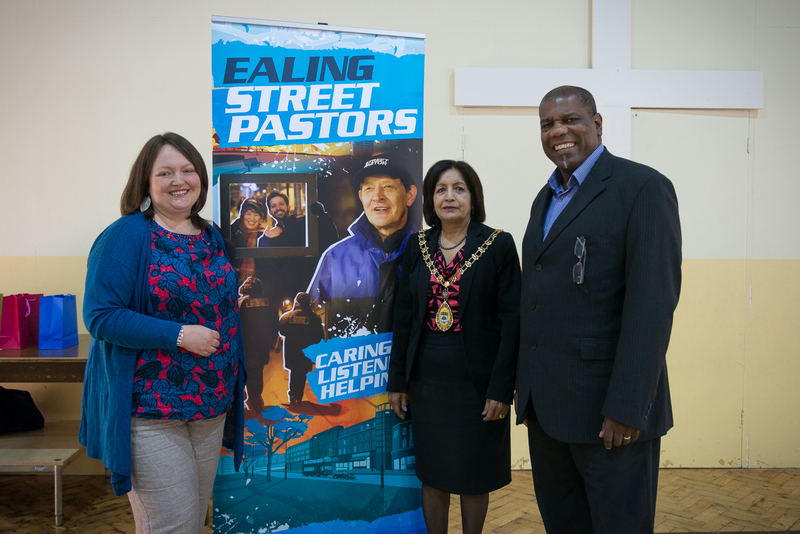 Les Isaac – CEO of Street Pastors, Ann Clifford – Ex-Coordinator of Ealing Street Pastors and Rev. 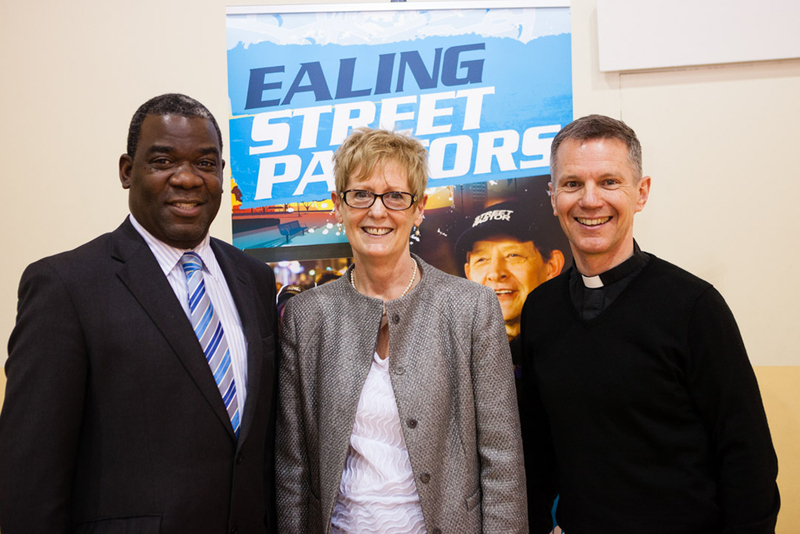 Andrew Corsie Chairman of Ealing Street Pastors. 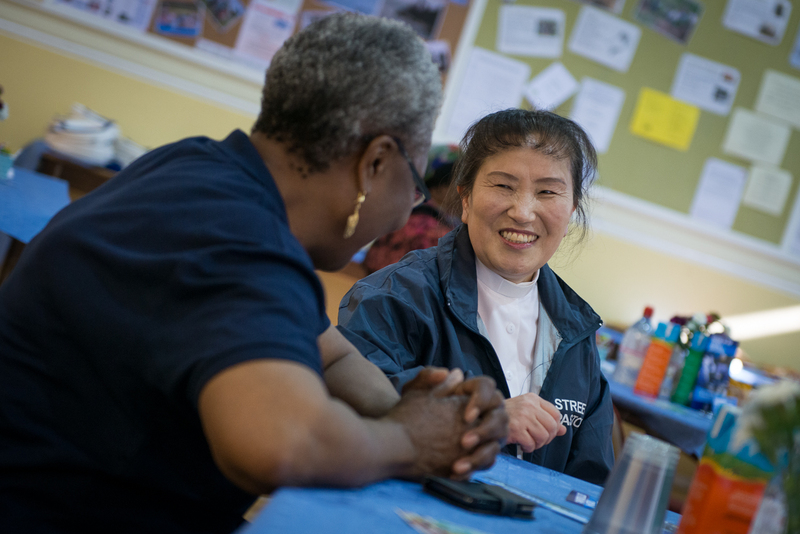 What people say about Ealing Street Pastors from Ealing Street Pastors on Vimeo.